Welcome to Backyard farmer, offering great ideas for your log storage. 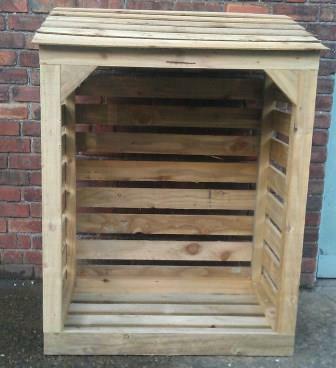 Our wood log stores are individually handbuilt and delivered direct to your door ready assembled, all you need to do is fill the wood store with logs. 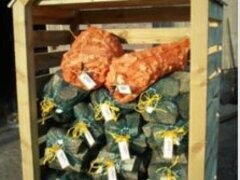 Or we can deliver the logs for your log store too. 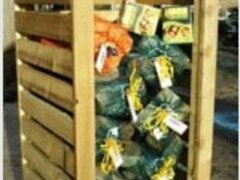 Why not purchase your log storage as a package?... with seasoned hardwood logs, kindling and firelighters included. 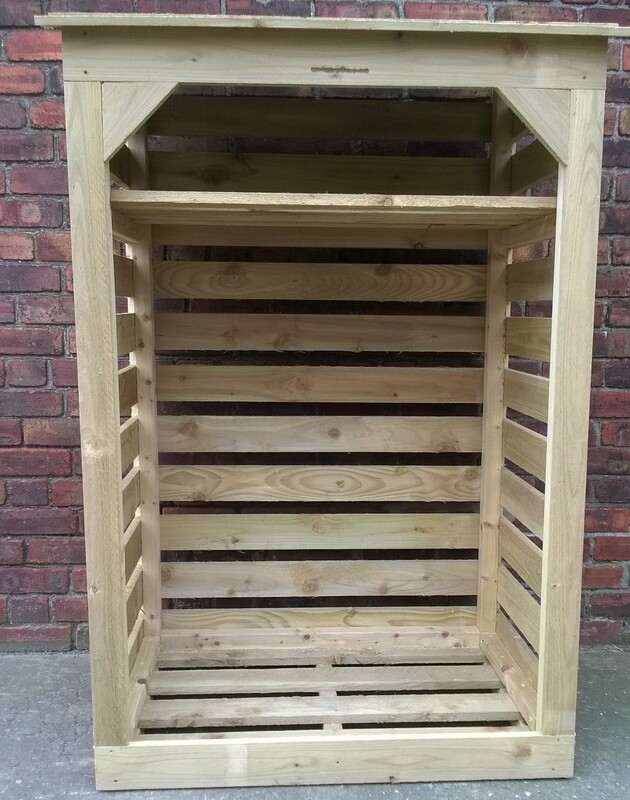 Your individually built wood store is made so you can season freshly cut timber and are perfect to store already dry seasoned wood.. Our backyard farmer wood store will allow your logs to breath and will help them dry naturally, whilst protecting them from the wet weather. 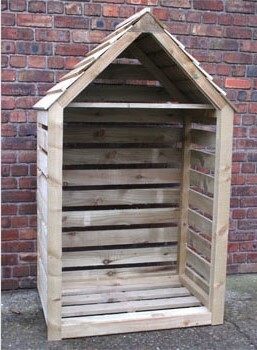 Why would I need a wood store for log storage? 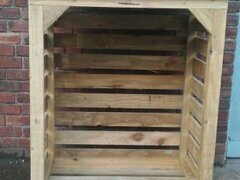 Not only does a wood store allow you to neatly stack your seasoned firewood and save space but the wooden log stores are built so the air can circulate freely around yourlogs, keeping the moisture levels low and getting the most efficient burn from your logs. 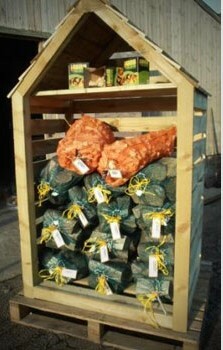 Our backyardfarmer wooden log store will allow you to neatly stack your seasoned firewood logs and save space. Our handmade wooden log stores are designed to allow air to circulate freely around the logs to ensure the moisture levels are kept to a minimum, enabling your logs to burn efficiently. Burning wet logs can build up soot in your chimney, eventually reducing the diameter of the flue and causing a fire risk. 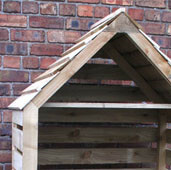 Drying times vary between different types of wood, split log sizes and the length of the logs. If you are buying green wood, you should expect to dry out your wood for a minimum period of 12 months to achieve firewood that does not spit but burns efficiently. 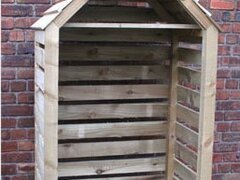 The wood store is handbuilt in three sizes and all wood stores are designed to allow nature to season and dry your firewood as quickly as possible. 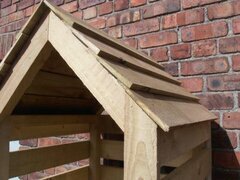 All of our log stores are made with sturdy pressure treated tanalised timber and all the nails are galvanised. 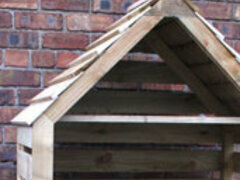 Looking for a wood store in a certain size? 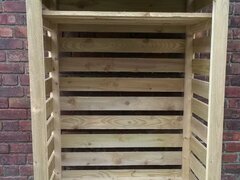 For bespoke log store orders please give us a call for a free quote 07738234555.